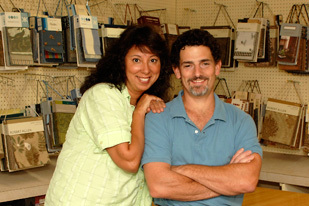 Cannon Upholstery has been a family owned business serving clients in the DC Metro area for over 28 years. Cannon Upholstery is convenient to Bethesda, Chevy Chase, Gaithersburg, Germantown, Kensington, Olney, Potomac, Silver Spring, Wheaton in Montgomery County, Maryland. We also service Alexandria, VA, Fairfax, VA, Falls Church, VA, Great Falls, VA, and McLean, VA in Fairfax County, Virginia. Cannon Upholstery first began when Richard Cannon, David Cannon's father, moved to Bethesda from Conway, South Carolina, to go to school because he was deaf. While attending school, he learned the upholstery business from his cousin; shortly after, Richard opened his own business out of his house and later moved it to Bethesda. David started working with his father back in 1981 by answering phones, doing deliveries and light upholstery. Since the untimely passing of Richard, David has been running the family business along with his wife, Evelyn. 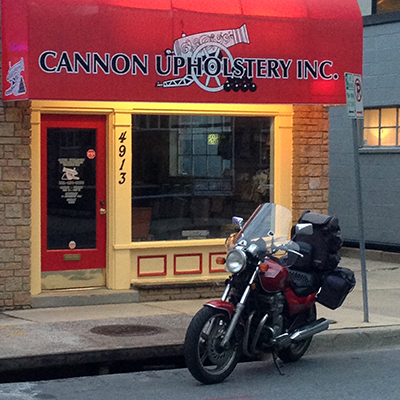 Although small, Cannon Upholstery is a full service shop catering to both residential and commercial clientele. Cannon Upholstery can do it all, from simple slip seats to custom-made restaurant booths, from repairing a tear on a cushion seam to reconfiguring dimensions on a sofa. Cannon Upholstery’s client base is extremely versatile, ranging from the professional interior designers and business owners, to homemakers. 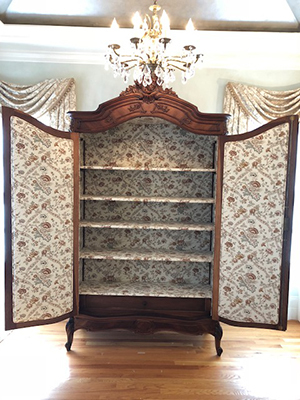 Other services provided by Cannon Upholstery are in-home repairs (depends on the project), headboards (existing or custom-made), furniture repair, cornices, lambrequins, pillows, re-stuffing cushions w/new foam or down, window seat pads, wall upholstery and bulletin boards. 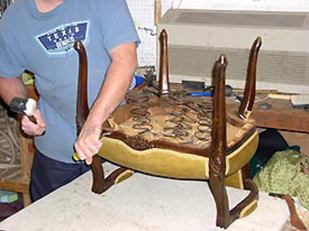 In addition to upholstery, they can build different styles of upholstered furniture. They also sell fabrics and have a tremendous selection of fabric books to choose from by many well-known fabric manufacturers such as Kravet, Robert Allen, Duralee, United, Douglass and Stroheim & Romann. 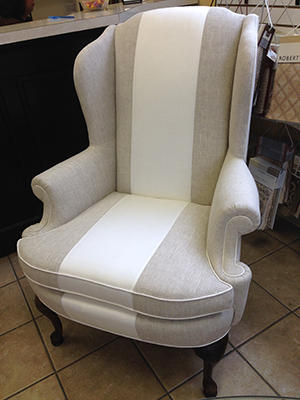 The ultimate aim of Cannon Upholstery is to provide excellent customer service. To the Cannons, upholstery is a meticulous art form and furniture is much more than something you sit on. As they like to say: "Furniture is an integral part of our lives."